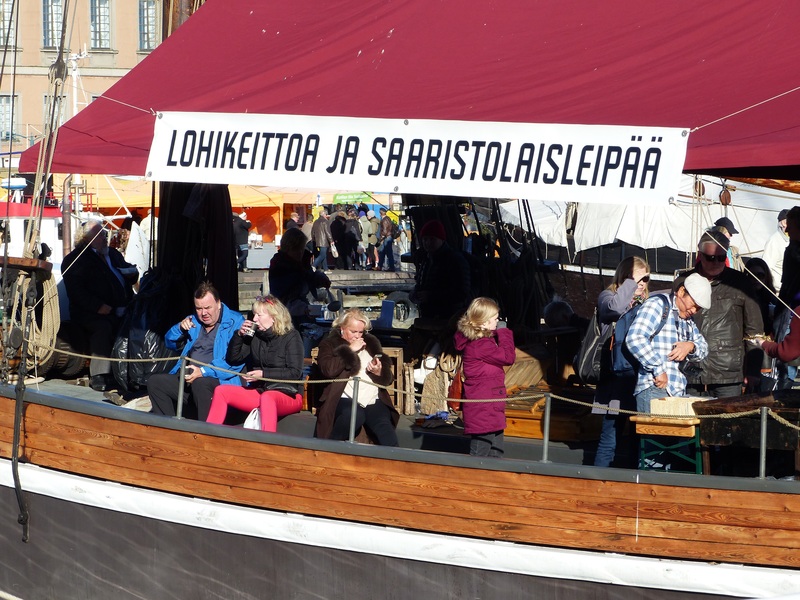 The Baltic Herring Fair is the oldest traditional event in Helsinki. 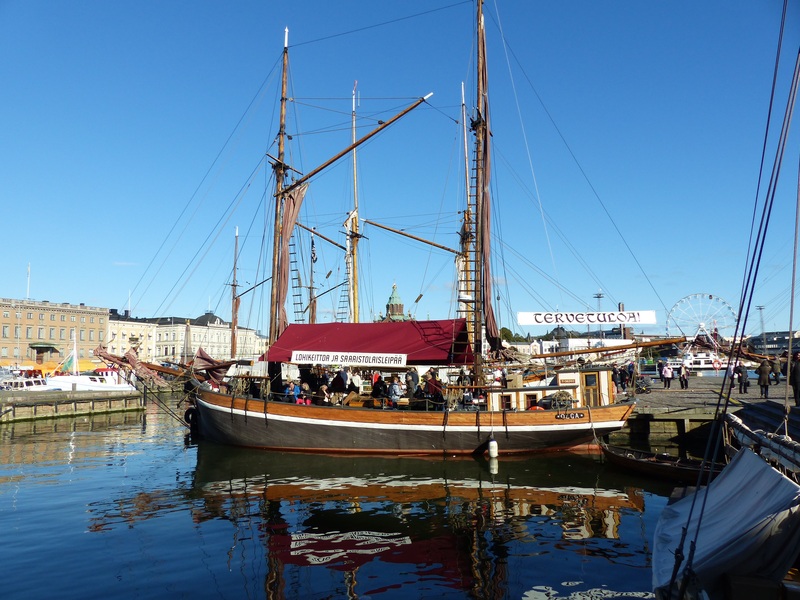 It has been held since 1743…and what perfect weather there has been so far this year for the outdoor festivities. 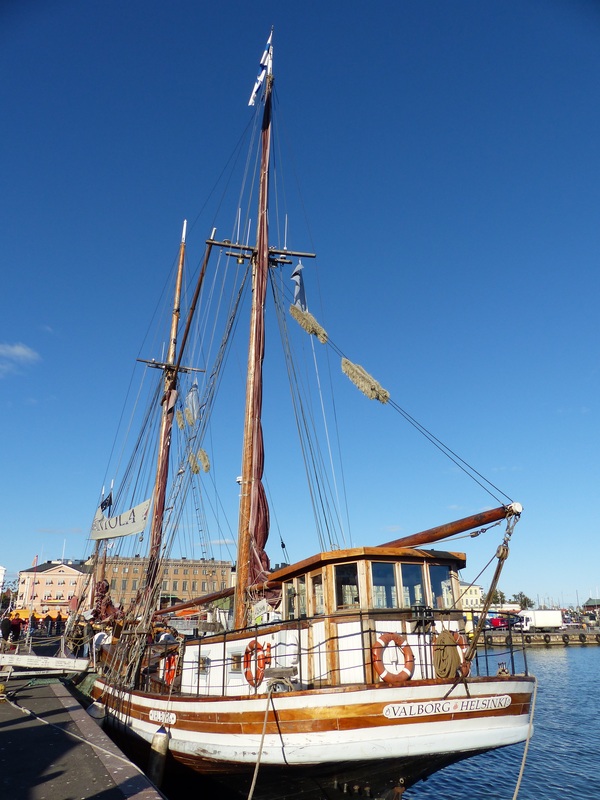 Baltic fishermen bring in their fish to sell, along with lots of other delicious things to eat. There are colourful stalls selling handmade clothing and wooden items. You can sit and enjoy delicious seafood, coffee and cakes and take in the lovely sunshine. 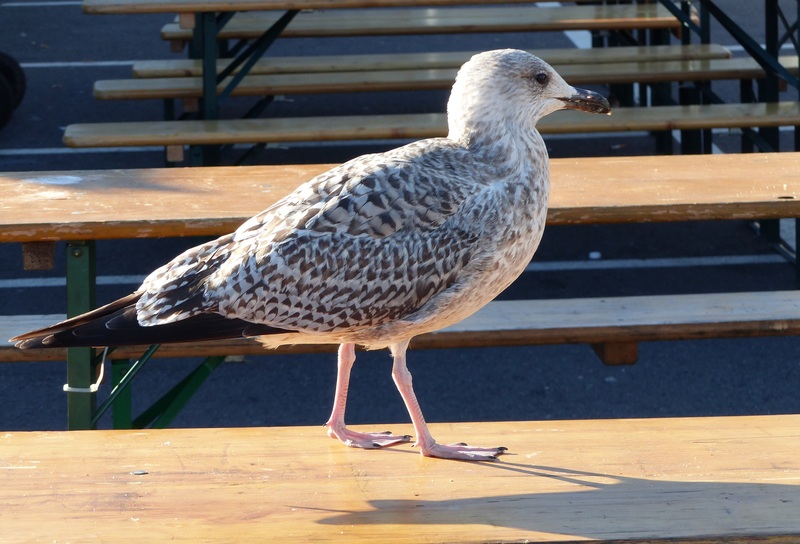 You might have to share something with the large and persistent seagulls. 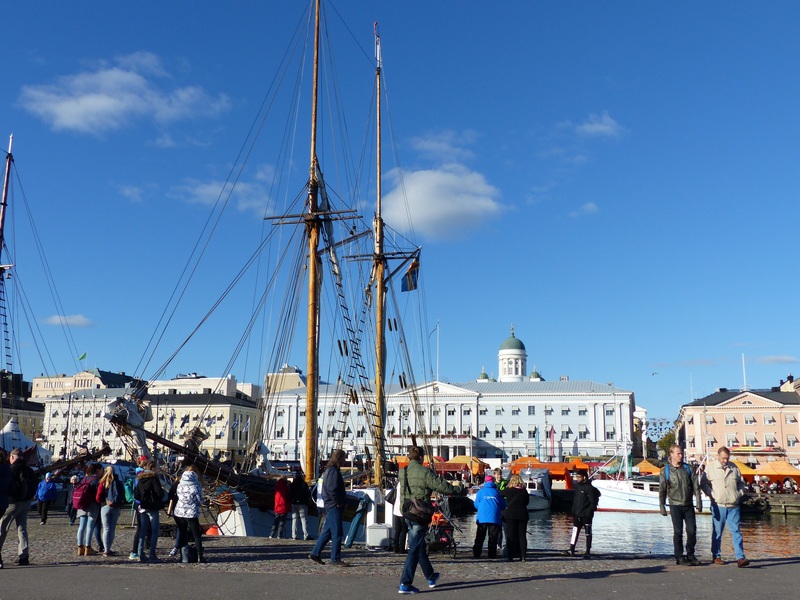 The festival runs until 10th October in market square beside the harbour. Dinner under the Helsinki Sky happened for the second time this year. 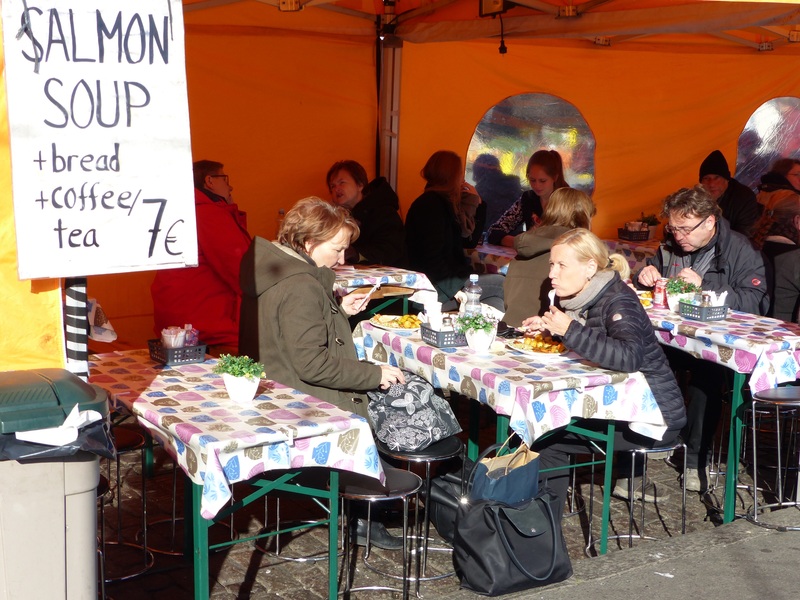 Long tables covered with white tablecloths are lined up along Pohjoisesplanadi. 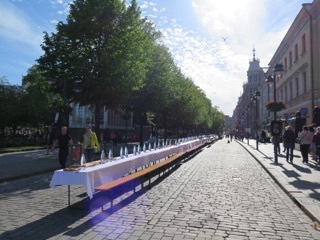 1,000 people come with their dinner, forks, knives, drinks, set a place at the table and enjoy the company of others under the beautiful Helsinki sky. Isn’t this a great idea? Get your picnic basket ready for next year. 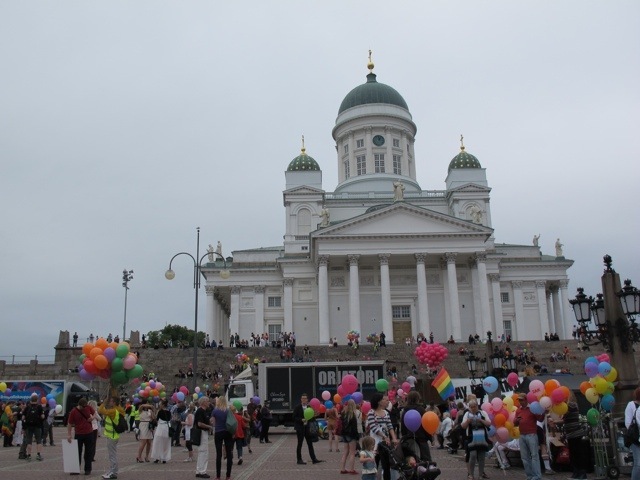 I wondered what the coloured balloons were for in Senate Square on my recent visit to Helsinki. I found out soon enough as I was about to cross Aleksanterinkatu a little later in the day when I saw Helsinki’s Gay Pride parade heading towards me. I was in a great spot to enjoy the spectacle. There was a serious side too. The audience joined in the spirit of the event and everyone had a great day…I love a parade.